(TibetanReview.net, Jun25, 2015) – Chief Minister Mr Virbhadra Singh of Himachal Pradesh on Jun 22 renamed the road from downtown Kotwali Bazar of Dharamsala Municipality running up via the location of the exile Tibetan administration towards the residence of the Dalai Lama at Mcleod Ganj town as the Potala Road. Mr Singh was the chief guest for a grand reception held at the Tsuglakhang, located adjacent to the Dalai Lama’s residence, to mark the Tibetan spiritual leader’s 80th birthday. The exile Tibetan administration said on its Tibet.net website Jun 23 that the proposal for renaming the road on the special occasion was made by its administrative head Sikyong Lobsang Sangay. 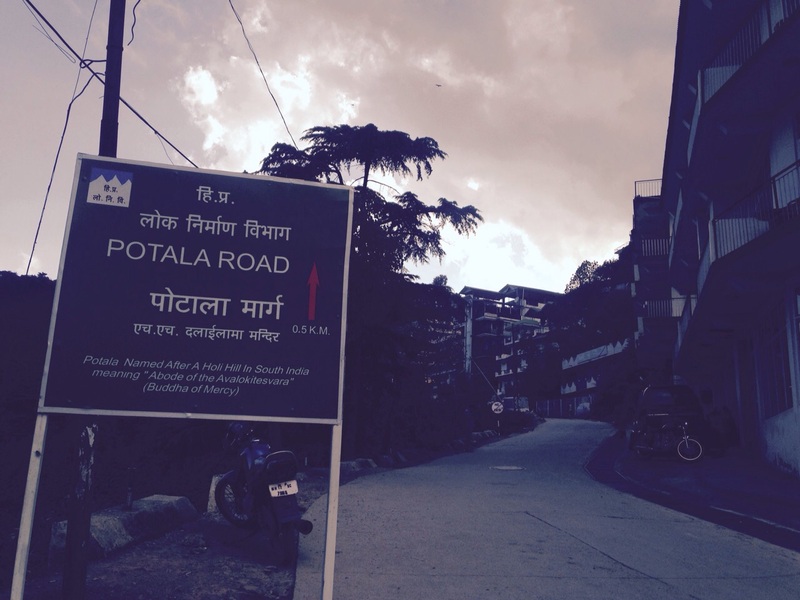 The hitherto notoriously rough and bumpy road, known as Jogiwara Road, was recently re-laid with a thick concrete cover. Apart from the Chief Minister and his entourage, leaders or representatives of all the major religious traditions of Tibet attended the reception and paid glowing tributes to the Dalai Lama. The reception was hosted by the Domey Tibetan community. The Dalai Lama released a 10-volume Zenam Norbui Trengwa on his life and a pictorial biography of the late 10th Panchen Lama. He also inaugurated a documentary film on Mr Virbhadra Singh who turned 81 on Jun 22. And he watched the documentary in the afternoon cultural events session of the reception which was held at the upper TCV school.